Let's dance Argentine tango on Saturday! You must be a member of the Warsaw Spontaneous Activities Group to attend this activity. Would you like to join this group? 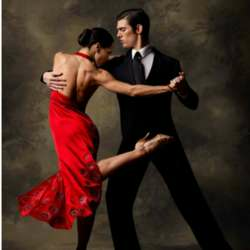 19: Protected content step lesson for those who never tried tango and for everyone interested in this magic dance! After the lesson there is so called milonga - time for ladies and gentlemen to dance on the parquet using "cabeceo"! There is a nice round room for dancing and bar to buy drinks. Entrance fee Protected content . Everyone pays at the entrance in the bar, before the lesson. Please arrive 15 min earlier and try not to be late. Those who leave the place before 21:30 and won't stay for the tango show at 23:00 will receive 5PLN back. P.S. If you find it difficult to find the place please call me. The Club is situated in Protected content .